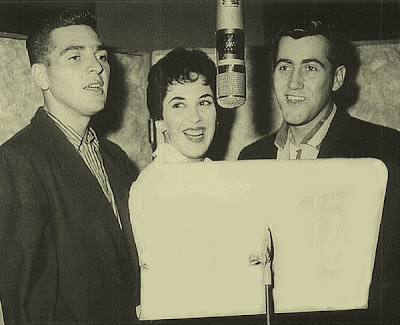 Gil Garfield (May 20, 1933 - Jan 01, 2011) was a singer, songwriter, producer and a former member of the 1950s vocal group The Cheers. Gilbert I. Garfield was born May 20, 1933, in Los Angeles to Harriet and Harold Garfield. His father owned a chain of drugstores throughout Los Angeles and later expanded his business into real estate. Gil graduated from North Hollywood High School and was a business major at USC. While in college, he began singing in area nightclubs. He was encouraged to record, and he eventually formed the Cheers in 1954 with fellow singers Sue Allen and Bert Convy, who became known as an actor and game-show host. 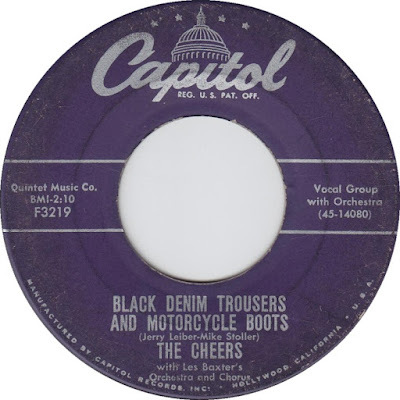 The Cheers recorded a Top 10 single, Leiber & Stoller's "Black Denim Trousers and Motorcycle Boots," in 1955. The trio hit the Billboard charts again with Leiber & Stoller's "Bazoom! I Need Your Lovin'," and they recorded several demos of other Leiber & Stoller tunes. "(Bazoom) I Need Your Lovin'." 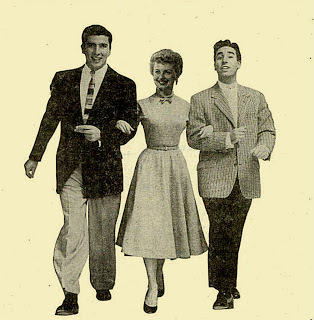 hit number three on the U.S. chart in 1954. This was the first hit written by Jerry Leiber and Mike Stoller to chart on the Pop charts in the United States, and was one of the first rock and roll hits by a white group (after The Crew Cuts and Bill Haley and the Comets). 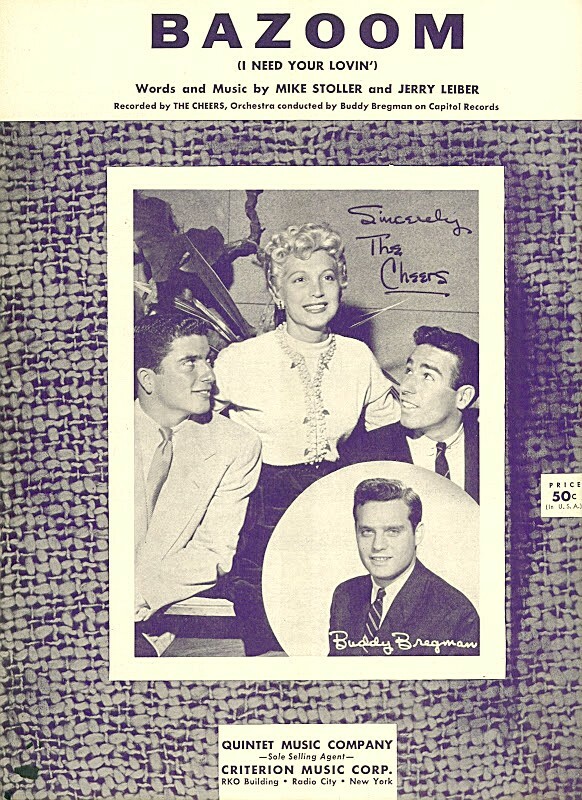 The Cheers disbanded in 1957. 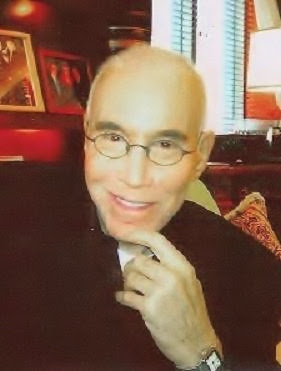 Gil then became a freelance songwriter and publisher who joined forces friend Perry Botkin Jr. to form a publishing company called Rock Music Inc., on Vine Street. The two men wrote several songs together of which the most successful was “Passion Flower.” Their own recording of it with the Fraternity Brothers charted at number 3 in Italy during 1958 and the song was also a success in France under the title “Tout L’Amour.” During the 60’s Garfield & Botkin and others, including Harry Nilsson, collaborated on words and music on such recordings as "Wonderful Summer," by Robin Ward, and "Paradise" by the Ronettes. By the 70’s Garfield & Botkin sold their Rock Music Inc. catalogue, including virtually all of Nilsson’s early songs for $150,000 to Beechwood, the publishing arm of capitol Records. In 1971, Gil and his sister Suzanne Garfield invented the "Pan-T-Boot." As Time described, the "Pan-T-Boot" was "a girdle, stretch pants, hosiery, and shoes all rolled into one." The Pan-T-Boot was offered in a series of bold monochromatic colours and floral prints—much like those designed by Gvasalia. They reportedly sold out as soon as they hit the shelves in New York City. Garfield then became successful in real estate, refurbishing and reselling houses, later in the 90’s turning to painting and collecting contemporary art. In 2002 Garfield had a liver transplant and was a generous supporter of the Dumont UCLA Liver Transplant Centre and the Los Angeles Gay & Lesbian Center. Gil died at The Ronald Reagan UCLA Medical Center in Los Angeles after a long battle with cancer. He was 77. He was completing a semi-autobiographical musical at the time of his death.